Annoying Conversations? 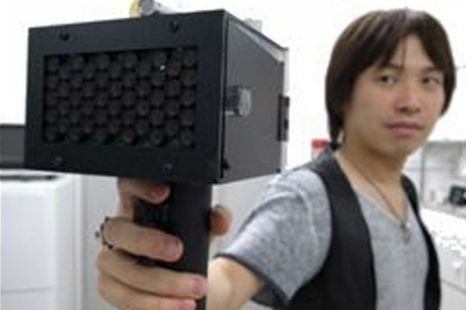 This amazing new Speech-jamming Gun Makes People Shut Up! Have you ever wished you had a mute button in real life so you can make people stop talking? Well it’s finally here! 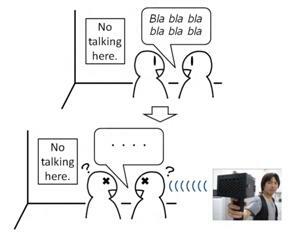 A team of Japanese researchers have invented a Speech-jamming Gun which makes people stop talking, thus allowing you to put an end to the nonsense rambling of others. This hand held gun offers you the possibility to stop people from talking, if they are within a range of 100 feet of you. If you were wishing for a mute button for your mother-in-law or, dare we even say, for your girlfriend, your prayers have been answered! Humanity now has its very own speech-jamming device which simply makes people stop talking. Pretty neat huh? How does this wondrous tool work? Its principle is quite simple when you think about it (I wonder why no one thought of it sooner?) It is a well known fact amongst psychologists, that a person is incapable to continue talking if his words are played back to him with a delay of a fraction of a second. Well, taking that into account, Japanese researches, Kazutaka Kurihara from the National Institute of Advanced Industrial Science and Technology in Tskuba along with Koji Tsukada from Ochanomizu University, have come up with a simple device which consists of a microphone and a speaker, which, when pointed towards someone who you think won’t stop rambling, will record their words and play them back with a delay of 0.2 seconds. Tests have shown that this ingenious device is quite effective: when aimed at a person, it causes them to stop talking, without causing any physical discomfort for the annoying speaker (unlike yourself, whose ears were being rampaged by the talking). 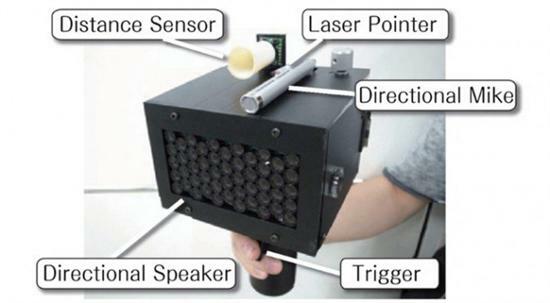 Well… further tests have showed that the speech-jamming gun could easily shut up a person who was carrying out a “reading news aloud” task, but sadly, when it comes to spontaneous monologues, results were less impressive. Thankfully, there is hope for all of you out there who are already thinking you should go out and buy it before that annoying aunt comes to visit. Apparently, the “tool” is more effective if the delay with which the words are repeated varies. Ok, so apart from using it to win a never-ending conversation, what else is it good for? Tests have also shown that if used with subjects who have a speech problem causing them to stutter, the speech-jamming gun can help them be more aware of their phrases, reevaluate their own speech and eventually, stop stuttering all thanks to this simple invention. Remember what it’s like to go to the library in order to find a quiet environment to study for that really hard test you have coming up, but when you get there, there’s a bunch of people who mistook the library for a bar? Well have no fear, the “shut up gun” is here! 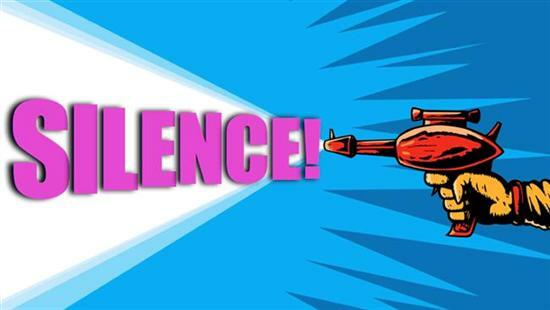 The new invention can be used to assure silence in a public library, but what would the “shh-ing” librarian do if her job is taken by a gun? -> shutting the nattering kids who sit behind you at the movie theater and won’t let you enjoy the film. all you have to do is reach in your handbag and silence them up! Of course, the effect could very easily be blocked by wearing a simple pair of earplugs, which leads us back to square one, but hey, it’s not like we’re gonna start carrying earplugs in our bags, right? Have a look below and watch the amazing Speech-jamming Gun at work.